The good summer house manufacturers offer a number of extra options for the building of a good summer house and it is well worth considering the advantages of using these different manufacturing techniques. It is very easy to consider that this system of selling is just to get the price up but it is one industry where the extra options give a serious improvement to the overall building that can seriously save time and money at a later date. Consider the construction of the building, a good manufacturer will offer a good framework system but they also offer a beefed up framework with a larger cross-section of the wooden framework structures. This will make the building very much stronger which will allow shelving or other items to be hung from beams but also give the building a much more rigid construction to the summer house. There are various cladding systems that can be supplied and these will consist of a stronger section cladding with different wood treatments. A 100% pressure treatment systems for cladding will protect the wood against all the wood deterioration problems. One advantage of getting an excellent framework and a good cladding system is that it allows the summer house to be made very secure which can be very important in many areas of the country. 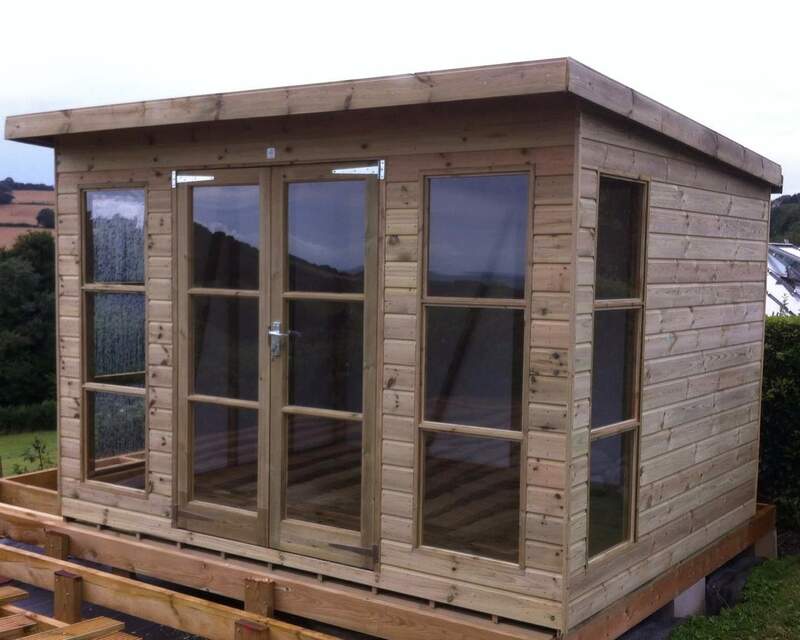 The framework will support excellent locking systems which will stop unwanted access and a good cladding system will also prevent any other unwanted intrusion through the sides of the building, it will also provide more protection against the elements if the summer house if it is in an exposed position. A good tongue and grooved flooring will provide an excellent time and tested floor construction method which is probably the best available on the market. Roofs can be important but the options for improvement often relate to the types of mineral felt that is used to cover the roof that is the main change, certainly the hardest wearing felt will help to maintain the roof. A summerhouse roof has always been an Achilles heel as any water ingress in this area can destroy the building, but the good manufacturer will provide a solution to remove this problem. The introduction of cedar tiles will help even more. It is well worthwhile to talk to the manufacturer about the options that they could provide, many people budget for a garden shed or summer house having a certain lifespan but a more robust summer house will provide a greater lifespan and provide a greater protection against the elements and the unwanted intruder.